Aging in old, large barrels. First thing I noticed upon opening this bottle is that of the 4 Clos Roche Blanche cuvée’s, this is the only one with an authentic cork. It was also the only one of the 4 that was vintage 2007; the others were 2008. I was told, however, that even in the 2008 an authentic cork was used for the Cuvée Côt. Nose: Dirt, dark aromas of plums, dark cherries, with hints of reduction. Some mineral nuances. Medium intense and not as complex as the Cuvée Pif. Palate: slight hints of spice and a mild nuttiness. Plums and cherries. Mild, elegant tannins. Acidity is medium to medium plus. Hints of raspberry and a nice long, fresh finish. More fruity than yesterday. Tannins are sticking just a bit and seem to be getting a bit more aggressive and they don’t feel as clean as the Pif. Nose: Still a bit closed and not very expressive. Floral, wild berries. 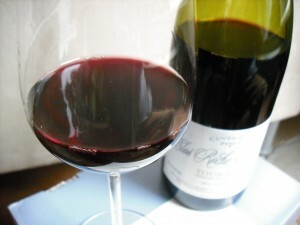 Palate: Wild berries, hints of spice and mild yet gripping tannins with a slightly bitter finish. Still the least expressive of the bunch. Yet, mysterious. Nose: again flowers and wild berries, but not totally open. Nose: Flowers and wild berries. A bit more open today?? Mineral and black currant undertones. No reductive aromas. Nose: Mineral with black currants and oxidized notes on the back end. Closed compared to last night. Palate: Oxidized a bit with black currants and a bitter aftertaste.Tough wine tonight and not enjoying it. 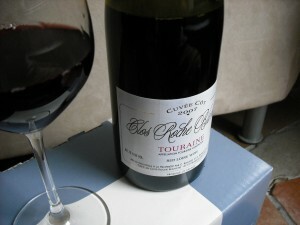 In summary, the Cuvée Côt was the wine that took the most amount of days to open and reach it’s peak. While the other Clos Roche Blanche Cuvée’s reached their peak on Sunday August 2nd, this wine did not fully open and reach it’s peak until Wednesday, August 5th; 3 evenings after the other wines. It was also the wine that once having reached it’s peak, had the shortest “life span” – only 24 hours. 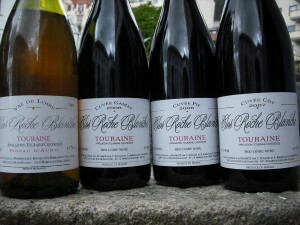 The other cuvée’s reached their peak more quickly and stayed open and enjoyable over several days. Perhaps this wine was not meant to be opened just yet. Even though I love young wines, I felt that this wine would have have been more interesting in 3-5 years. Nose: Medium intense and still quite complex. Seems a bit tighter and more put together then yesterday. 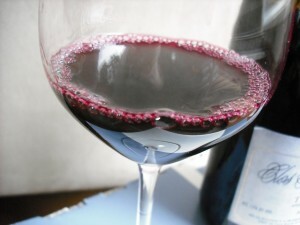 Still has hints of juicy green bell pepper, some blackberries with hints of black currants. Today reminds me a bit of a nice Bordeaux. Hints of worn leather and minerals. Palate: Blackberries and green bell peppers immediately with black currants on the back end. Medium to medium plus tannins. Some cigar box and none of the bitter notes (only slight) I got yesterday. Serious wine and for those who love Bordeaux, you’ll love this. Long fresh finish. Real aging capability here in my opinion. A food wine. Fresh. Wow. Today the main difference is that the wines have tightened up a bit and seem to be a tad more elegant. I suppose its still to soon to tell! Nose: Still mostly dominated by black fruit and green bell peppers but today the fruit stands out more than the peppers. Quite elegant today..
Palate: Lots of black fruit and green peppers. Still quite tannic, but not overpowering. I have to say that although the fruit is mostly black in character, the wine has a certain freshness you don’t often find in lets say, a Bordeaux.. a very clean wine. Long finish with solid tannins. Again, really focused and elegant today. The best day so far for this wine as well. If I had to complain about anything, perhaps its the acidity.. could it be a tad higher`?? nah. Nose: More floral than the previous days. The green peppers have mellowed to the background. Blackberries and black currants with an underlying lift of cool fresh fruit. Palate: Green peppers still on the palate with really solid, lovely tannins carrying the wine to a really long, fresh, slightly bitter finish.. Still quite impressive. Really starting to love this wine’s complexity. 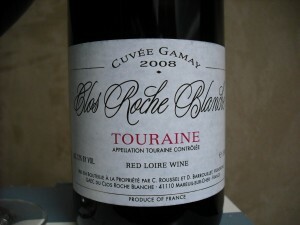 It’s not common to find a wine with this firm of a tannin structure, yet remain this fresh, light and low in alcohol.. Nose: Still has the sweet green bell peppers and blackberries and black currants. Hints of red fruit, especially plums to help lift the wine. No signs of oxidation. Palate: Still quite Bordeaux like. Still has the green bell peppers dominating with blackberries. Tannins a bit more settled today. Still drinking quite well. Slightly bitter on the finish. Nose: Slightly oxidized sweet green peppers. This is the most oxidized wine so far. Some black currants. Not very expressive tonight. Palate: A little volatile tonight. Still has the Bordeaux thing going on. Blackberries and green peppers with medium plus tannins. Slightly oxidized. Not very exciting tonight. Done. Even though this wine didn’t hold up as well as the Pineau d’Aunis or Gamay, it was a great wine and a great substitute for those of you who are craving a Bordeaux-like wine. 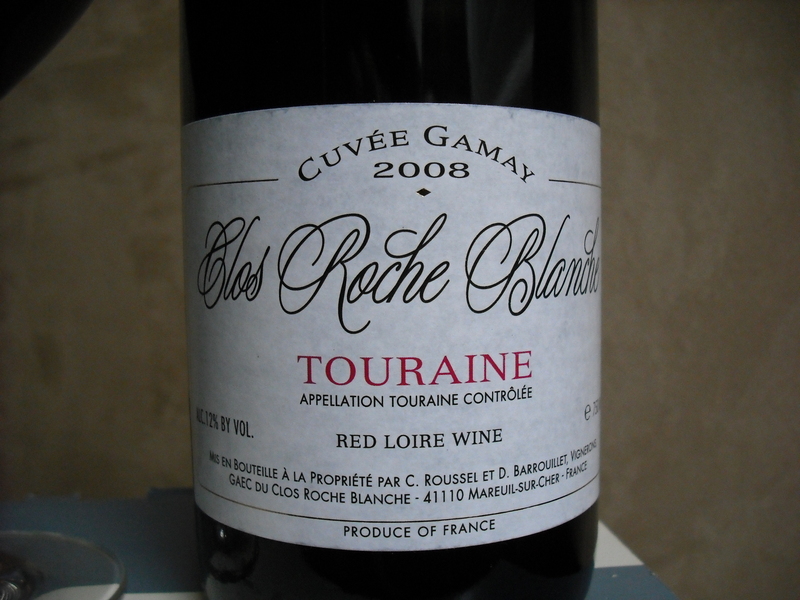 Palate: Typically correct Gamay with spice, pepper, black and red berries also on the palate. Great structure and mild tannins with medium plus acidity. Quite fresh. 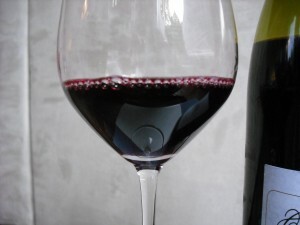 Although the alcohol is barely noticeable, the structure is that of a wine with higher alcohol. Long, serious finish.. Have I found a replacement for L’Ancien?? Just 2 minutes in the glass and the tannins are becoming tighter which I personally love. Nice. Palate: Leaning more to the red berries today, raspberries and cranberries with pepper notes in the background. More serious and more elegant than yesterday. Although I enjoyed all the aromas yesterday, today they felt more united. Tannins were still mild, but gripped and held elegantly for at least 10 seconds or more. Nice long finish. Very fresh. Don’t feel the alcohol. Palate: Very sweet fruit today. 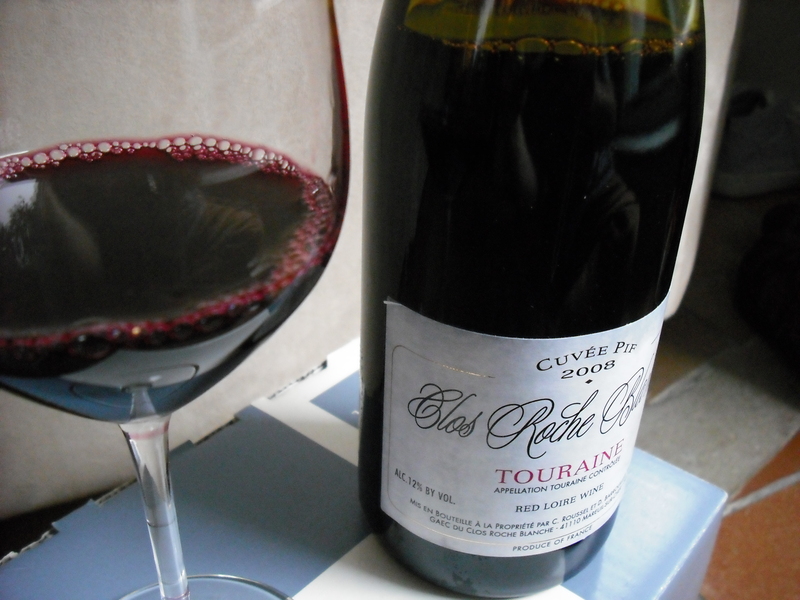 Sweet red licorice at first with ripe raspberries and pepper on the finish. Mineral. Really drinking well today . 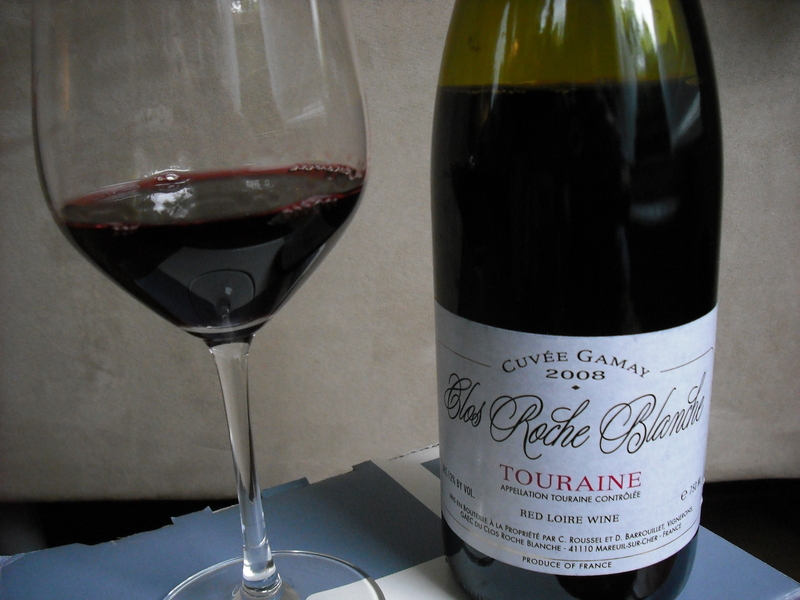 Very typical (good) Gamay and fast becoming one of my top red grapes. Mild but gripping tannins with a ripe fruit finish. Very focused. 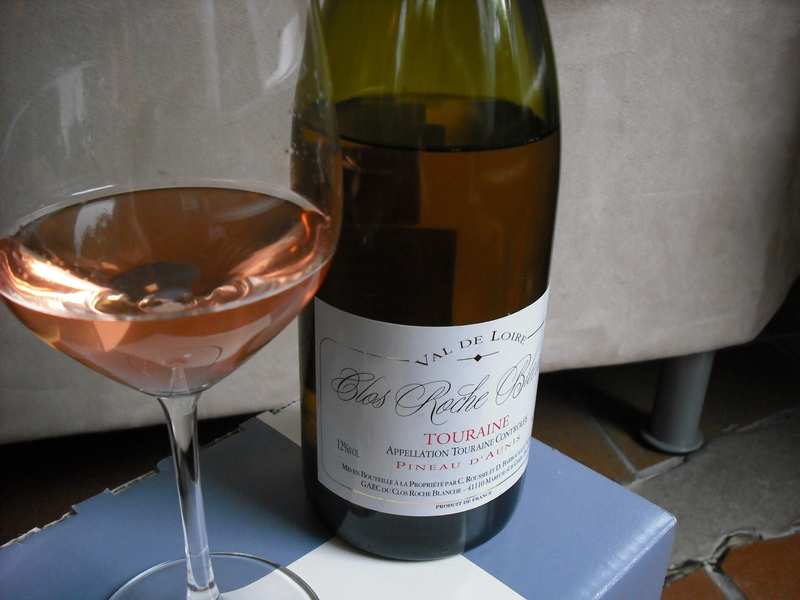 Just like the (Pineau d’Aunis) Rosé, the noticeable improvement on this wine tonight is the focused fruit.. wow. Palate: Really red fruit driven with cranberries dominating and the tannins also stepping up. The wine is still very fresh and the acidity is really driving the wine today, but not overpowering it. Really intensely ripe fruit. Still very nice today.. Yummy. Hints of bitterness on the finish with some minerals. Nose: pepper stepping up with underlying red fruit. Hints of blackberries. Wild berries. Floral hints as well. Still has quite a pretty nose. Nose: Still pretty. Today the flowers are dominating. Red and wild berries. Pepper overtones. Palate: Still very drinkable. Seems a bit more focused again today. A bit better than yesterday. Barely noticeable oxidation. Mostly red fruits on the palate and hints of pepper and mineral. Bitter finish. Still very drinkable. Palate: Nice. Cocoa and tannins taking the show. Blackberries on the finish with a hint of spice. Still has great length and freshness. Very, very slight oxidation on the palate, but still very drinkable. Really enjoying this wine tonight. In summary, if you like fresh and light wines with hints of spice and dominating red fruit, this is a great wine. Well made and can go with many foods ranging from cheeses to fish and chicken. Another very stable and well-made wine from the Clos Roche Blanche Domaine. 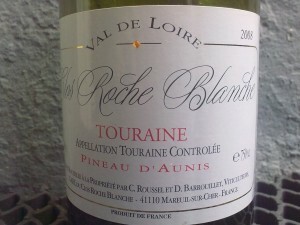 In Part I of Clos Roche Blanche the producer profile, I talked about the Loire Valley and this Domaine. In this entry, Clos Roche Blanche Part II – “The Wines”, I give detailed tasting notes for 4 wines that I was able to find here in Norway. I was unfortunately unable to get a bottle of the acclaimed Cuvée Sauvignon Blanc nor was I able to get the other Cuvées. When I do, I will be sure to write about them here on my site. For this entry, the wines were all opened at the same time, Friday July 31st, 2009 at 16:45 (4:45pm) and tasted over the course of one week. Once opened they were simply stored with their original closures and kept in the refrigerator. I did not pump the air out of the bottles. The first thing that struck me was that three of the four bottles used artificial plastic corks. 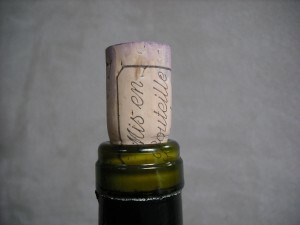 Only the Cuvée Côt used a real cork. I am not sure how I feel about this as it’s not unusual to use an artificial cork to seal a wine bottle. However I have to admit that I do find it strange that winemakers who make wines as close to natural as possible are using anything other than real cork. Please comment on your feelings regarding this matter. Appearance: what’s there not to like?! A beautiful light pink grapefruit color. Absolutely lovely color. Clean with a medium intense glow. Nose: The first aromas I note can only be described as “vitamin C”, the smell you get when you first open a bottle of vitamin C chewable tablets. Aromas of pink grapefruit, hints of under ripe raspberries (red), hints of yeast (the first bottle I sampled a few weeks ago had much more dominant yeast aromas which I did not like). Medium intensity and medium complexity. 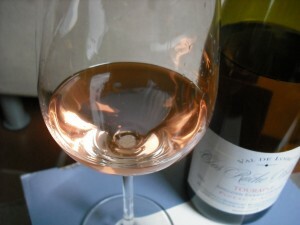 Palate: Very dry, with medium to medium plus intensity. Grapefruit and under ripe raspberries also on the palate. Medium body, great concentration and great length with yeast and mineral undertones. Very mild tannins. Medium to medium plus acid. Well integrated alcohol. Wow, much better tasting experience today versus the last time I tasted this wine a few weeks ago. Nose: Still pink grapefruit but today the yeasty/leesy smell is a bit more dominant. Hints of pepper which weren’t there yesterday. Sunday August 2nd, 2009 20:48 (8:48pm) – The wine is at it’s peak today. Palate: Very fruity initially with the raspberries and grapefruit really dominating. 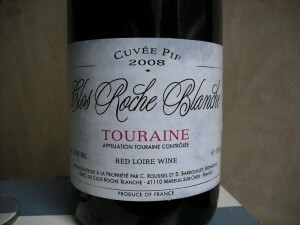 Less of the yeast today on the palate and a finish that is very long, fruity with hints of pepper and mineral. Very balanced, fruity and fresh. I am actually loving this wine today. Today is definitely the best it’s been with the biggest improvement being on the fruit – its much more focused today than it has been and seems almost “sweet”, though the wine is bone dry. To sum up – sour red raspberries, fruity pink grapefruit with surrounding pepper notes and hints of yeast and mineral on the finish.. Wow… Looking forward to tasting it with my two types of Zucchini and red onion pasta. Nose: the berries are going more towards wild berries today instead of under ripe raspberries. sweet pink grapefruit, red apples today – weren’t there on the previous days. Overlaying pepper aromas. Hints of yeast, but mellowing with each passing day. A fruitier “sweeter” nose today. Although it may sound that the nose is more open today than yesterday, it was actually less appealing to me. Palate: Acidity seems to have kicked up a notch today, but the fruit at the same time seems “sweeter”. Red apples and raspberries, with a mineral finish with hints of bitterness, like the white part of the grapefruit. Still fresh and drinking well, but perhaps it was a bit more enticing yesterday. The bitterness is dominating a bit on the finish. Palate: sweet pink grapefruit and red raspberries with a peppered finish. The alcohol is bit more noticeable today and the fruit a bit more subdued. It has lost a bit of the fruity edge today. Not as exciting. Nose: Still driven by the pink grapefruit and pepper notes. Still no signs of volatility on the nose. Still fresh. Still has hints of yeast..
Palate: Still fresh, but that fruit edge it had on the third day seems to have diminished a bit. Alcohol a bit noticeable like it was yesterday. However, still very drinkable, but slipping a bit. Thursday August 6th, 2009 23:54 (11:54pm) – Possibly peaking, again? Palate: Strange wine tonight. Very relaxed, fruity and fun. 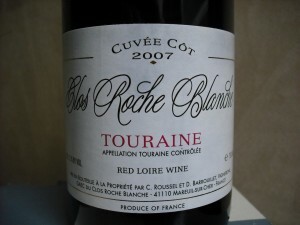 Ripe red fruit, namely raspberries with hints of strawberries. Also getting the hints of pencil lead on the palate. Hints of red apple, especially the skin. Very fresh. Long, slightly bitter finish. This is a wine that I don’t particular enjoy when first opened. It did become enjoyable from Sunday night on with the most exciting nights being Sunday (3rd night open) and Thursday(7th night open).